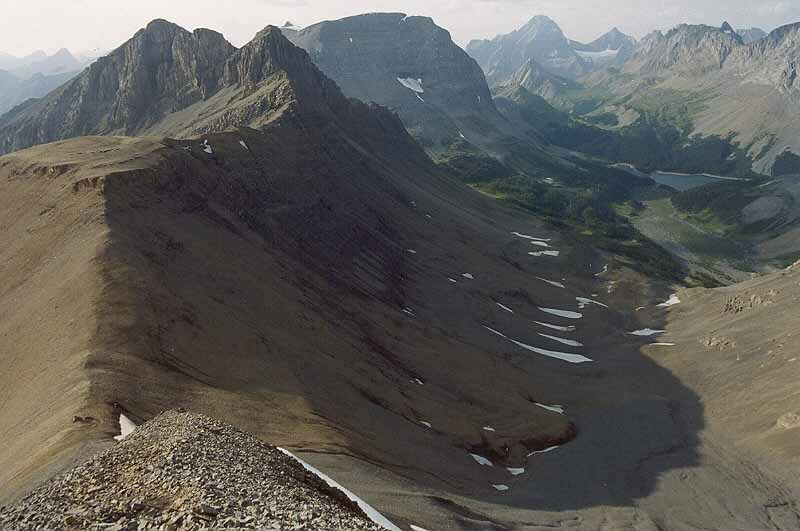 August 2005: From the last highpoint on Northover Ridge, the descent route to Three Isle Lake is all scree, all the way. The descent from Northover ridge follows the ridge down to the col on the left, and then goes down scree slopes to the rocky valley below. Mount Worthington, 2838 m, rises across the col, with the main summit on the centre skyline. British Columbia and the Pacific drainage are to the left, and Alberta and the Hudson Bay drainage are to the right.